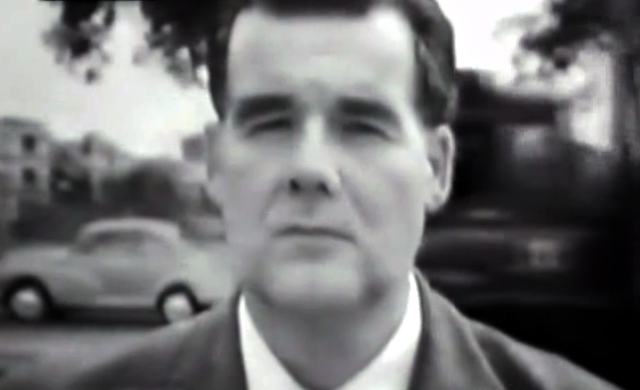 By all accounts, although ‘Stranger in the Family’ was one of the three episodes already completed when the Irene Shubik and Sydney Newman were deciding upon the series opener, neither of them seems really to have considered David Campton’s original drama as a serious contender. Newman wanted the big name appeal of John Wyndham; Shubik, who would have preferred the Alan E. Nourse adaptation despite the relative littleness of his name, seems to have been more concerned with establishing Out of the Unknown as incontrovertibly science-fictional. Which is a shame, as whatever the merits of its competitors, ‘Stranger in the Family’ is easily the strongest drama of the three, its quiet menace well suited to the intimacy of television viewing. This should come as no surprise. Some of this can be attributed to Alan Bridges, probably the most experienced of the first three directors to work on the series.1 He makes effective use of possibilities for location shooting provided by the story’s contemporary London setting – opening shots overlooking the flight exhibition at the Science Museum, sequences in the streets of (I think) Hammersmith and Fulham and along the south bank of the Thames by Southwark, the potent juxtaposition of a Victorian pub with a new tower block. Although lacking the overtly science-fictional images of the first two episodes, Bridges’ location shooting is a far more effective way to open up a drama than could be provided by their studio-bound extraterrestrial settings. Bridges also offers us several striking (really) high- and low-angle shots, but in the studio, especially, his careful direction works to let the story flow and a sense of threat to build. But the real reason for the episode’s success is David Campton’s script. One of the first British practitioners of the Theatre of the Absurd, his The Lunatic View (1958) is often considered – alongside Harold Pinter’s The Birthday Party (1957) – as the foundational example of the ‘comedies of menace’, a term taken from its subtitle. He was primarily a playwright – he ‘discovered’ Alan Ayckbourn – but he was active for about five years as a television writer. When Shubik commissioned ‘Stranger in the Family’, the first original piece for the series, Campton already had a couple of genre pieces to his credit. In 1966, he adapted Edgar Allan Poe’s ‘The Fall of the House of Usher’ (1839) for Mystery and Imagination (1966-70), starring Denholm Elliott and Susannah York as Roderick and Madeleine. In 1968, he adapted H. Russell Wakefield’s ‘The Triumph of Death’ (1949) for Late Night Horror, directed by Rudolph Cartier and starring Claire Bloom. Shubik would later commission him, in 1966 and 1969 respectively, to adapt Frederik Pohl’s ‘Tunnel under the World’ (1955) and Isaac Asimov’s ‘Liar!’ (1941) for Out of the Unknown. 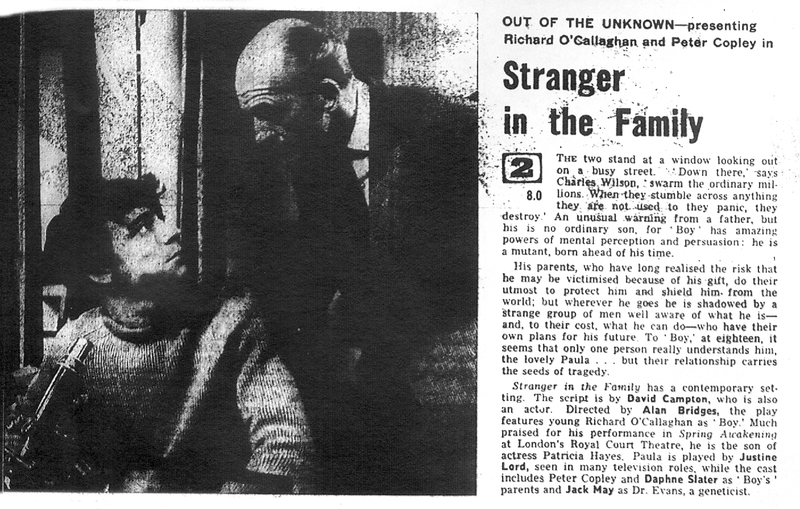 ‘Stranger in the Family’ was remade in 1969 as an episode of Journey into the Unknown (1968-69), with an entirely different cast including Janice Rule, Gerald Sim and Glynn Edwards. The eighteen-year-old Boy (Richard O’Callaghan) flees from the Science Museum, tailed by the purposeful Hall (Joby Blanshard). Boy eventually confronts him, ordering his stalker to get away from him. Hall steps into the road and is killed by a van. But by the time Boy gets back to the flats where he lives with his ageing parents, Charles (Peter Copley) and Margaret (Daphne Slater) Wilson, another anonymous figure has him back under surveillance. The next-door flat has a new occupant, too, a man called Brown (John Paul) who makes no real effort to conceal his interest in Boy. The troubled family contemplate the need to move on – yet again – to evade their pursuers. They have clearly done this many times before and at some personal cost – Charles once worked at Harvard, but is now a lab assistant at a secondary modern school. Boy does not want to leave, though. He has fallen for an actress/model, Paula (Justine Lord), and believes she is genuinely interested in him. More deaths follow. And they are not the first in which Boy has played a part. For he is a mutant. His sensorium perceives the world differently, something he struggles to express in words. He is telepathic. And he is able to force others to do his will. ‘Stranger in the Family’ is a worthy addition to those British tales of an emerging posthumanity, exemplified by JD Beresford’s The Hampdenshire Wonder (1911) and Olaf Stapledon’s Odd John (1935). It recalls Wyndham’s The Midwich Cuckoos (1957) and its adaptation, Village of the Damned (Wolf Rilla 1960), and its quiet delineation of state surveillance and hinted-at machinations adds something of the underrated Children of the Damned (Anton M. Leader 1963) and the remarkable The Damned (Joseph Losey 1963) into the mix. Despite the melodramatic incidents around which the story is articulated, it remains ominously understated. Agendas compete, shift according to circumstance. Some motives are obvious, others remain ambiguous. When the boss of the surveillance team finally talks to Boy’s parents, he speaks reassuringly of the state intervening merely to keep such exceptional individuals safe and to observe their further development. He speaks of a new species that will end war and supplant homo sapiens entirely, and he seems pleased with the former and unfazed by the latter. But he is an agent of the state, and there is absolutely no reason to believe anything he says. One of the pleasures of these shows is recognising the actors, many of whom were never stars but had long careers on British television, appearing in an episode here and there of pretty much everything. The reason Justine Lord looks familiar is that she is Sonia, the girl who was death, in the Prisoner episode ‘The Girl Who was Death’ (1968). Hall, in the opening sequence .. . is it? 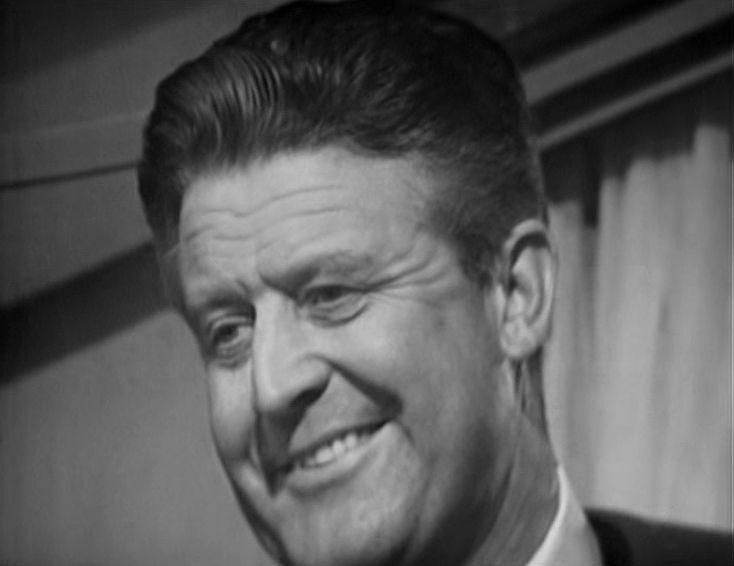 … yes, it’s Colin from Doomwatch. Hold on, I recognise that voice, that’s John Hall, Spencer Quist from Doomwatch! (Peter Copley and Bay White also each did a Doomwatch.) Copley was also Dr Warlock in Doctor Who’s ‘The Pyramids of Mars’ (1975), and other cast members appeared in ‘The Sea Devils’ (1972), ‘The Invasion’ (1968) and ‘The Space Pirates’ (1969). 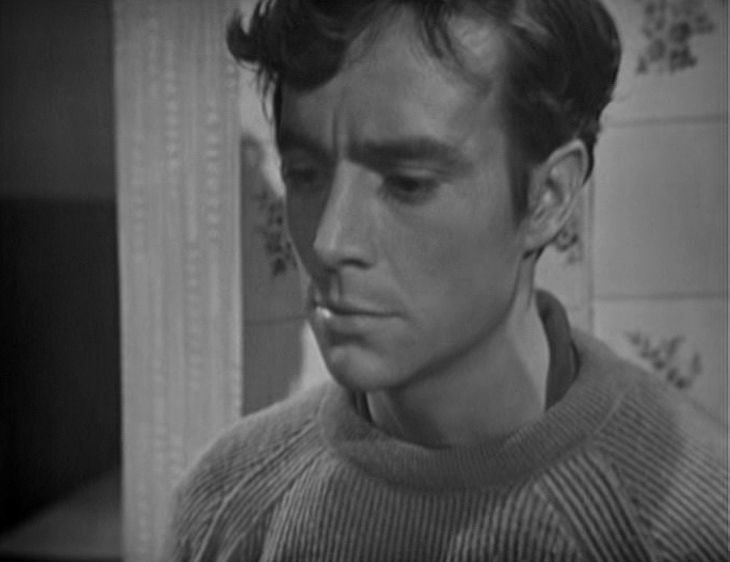 Jack May, who was in the last of these, was also in A for Andromeda (1961) and was the protagonist’s butler in Adam Adamant Lives! (1968-69). And so on. Other genre shows crop up in more than one cast member’s credits: The Avengers, The Champions, Department S – as well as less fantastical dramas and soaps. 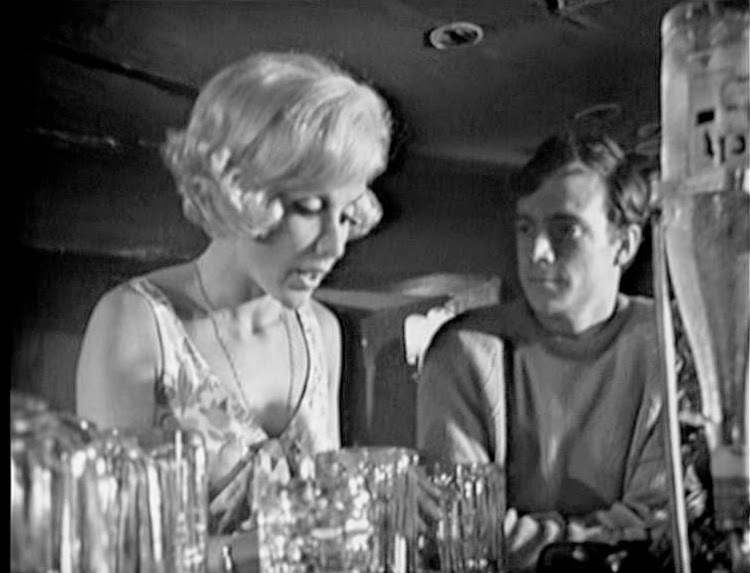 Oh, and if Richard O’Callaghan looks familiar, he is the son of Patricia Hayes – and the actor who was brought in when Jim Dale quit the Carry On… series (see him in …Loving and …at Your Convenience). In 1966, Bridges would direct the Robert Holmes-scripted sf movie, Invasion, and although he continued to work primarily in television, his other films include The Hireling (1973), Age of Innocence (1977), The Return of the Soldier (1982), The Shooting Party (1985) and Apt Pupil (1987).